“Billy the Bongo Bull” is a thick muscled, powerful bull with an outstanding temperament. He was named and claimed by two year old Jaxsen. Billy is by OCC Great Plain 943G. Great Plains looks even better as the accuracy of his data improves. 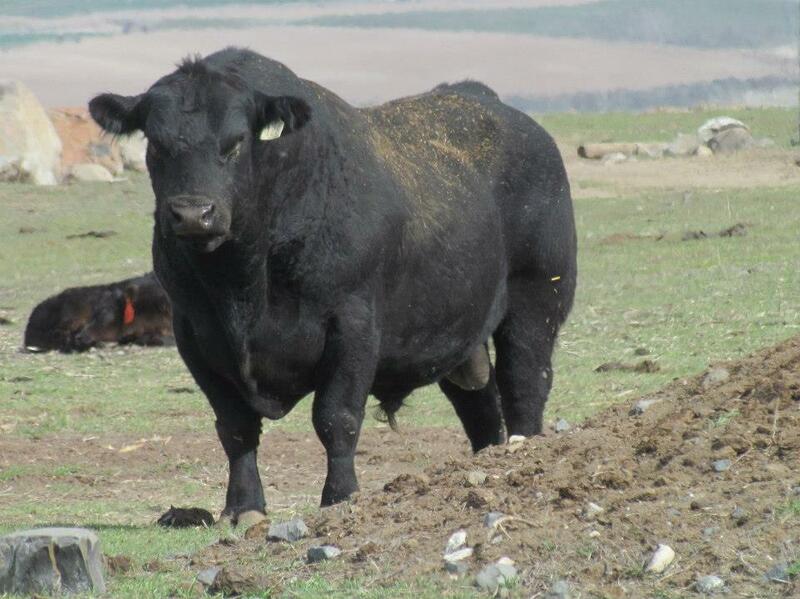 Breeders love the daughters they are finding at Sitz Angus in Montana and at H. D. Dunn & Sons in Idaho. This long-sided 6 frame bull has ultrasound data placing him at the top of the breed for REA while moving into positive territory for IMF. His famous dam is one of the foundation females behind the Ohlde Cattle Co. program. Great Plains is an excellent heifer bull with over 1,600 calves with a 99 birth weight ratio and records 237 daughters in 41 herds with a 101 weaning ratio. Billy’s dam is by Sitz Tradition RPS 8702, Tradition is a high selling bull selected by Vance Uden from the top of the Sitz sale offering. Tradition is long-sided, big hipped and deep quartered, with a tight sheath and large testicles. His calves show excellent growth and bulls are doing well on test. Tradition is backed by a super cow family with one high ratioing cow after another as far as you look. Birth wt. 91 lb., ratio 108; weaning ratio 124; yearling ratio 120. 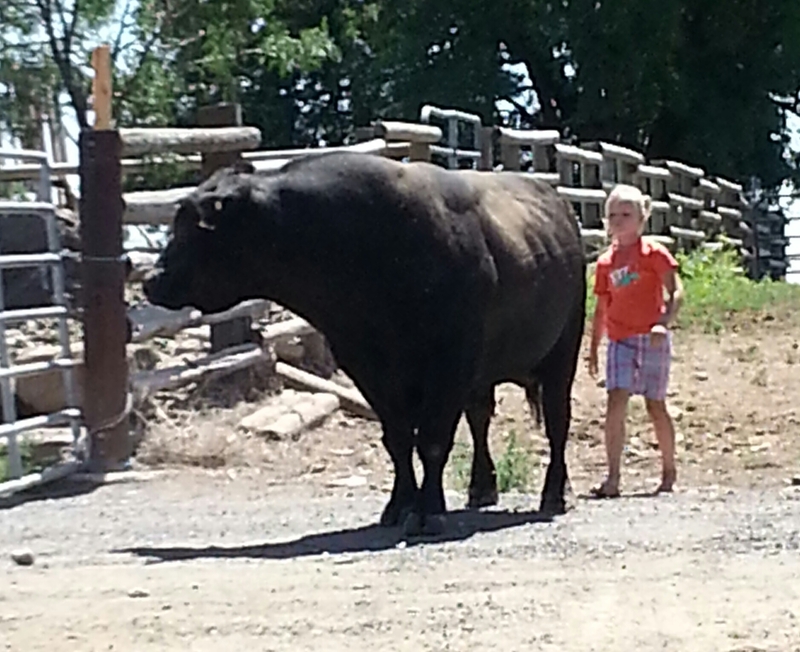 This is a “power bull” out of two super parents. As you can see Billy has a great disposition. Pepper (shown) and Anna helping pull Billy from the cows.